Skull Bucket bonds classic rugged styling with innovative technology and durability to create unparalleled head protection. 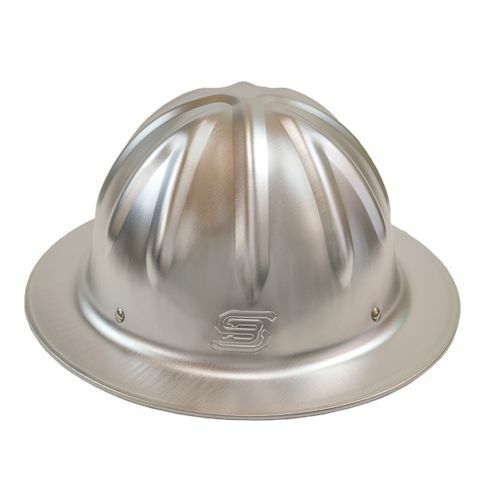 The timber, construction, and gas & oil industries throughout the USA and across the world trust authentic Skull Bucket aluminum hard hats to keep crew members safe. Every single Skull Bucket includes a one year unlimited warranty. This covers full replacement for any manufacturer defects. Skull Bucket hard hats have been tested for compliance to the ANSI Z89.1-2014, Type 1 Class-C Standard for Industrial Head Protection. 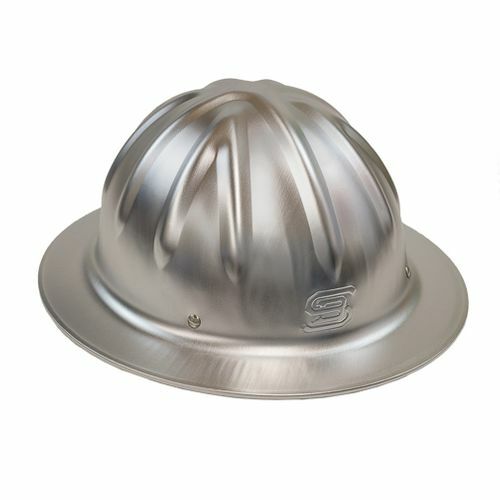 Each full brim aluminum hard hat is made from an aerospace aluminum and designed with key reinforcement areas. That means it is also extremely lightweight and durable. Every authentic Skull Bucket hard hat includes a 4-point, replaceable, Bucket-Strap suspension system with integrated chin strap. This system is designed for maximum comfort while providing industry leading impact protection, including a no-slip fit, dynamic impact protection and a sweat-absorbing foam insert for your brow. 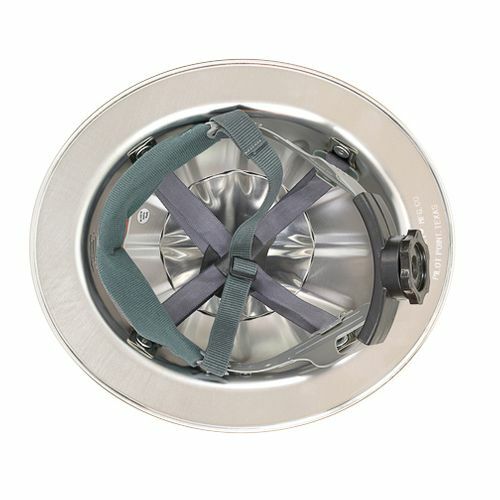 How do you change the front/back orientation of the ratchet suspension on a skull bucket hard hat? Is there a trick to getting the bracket off the stub? A bit scared to force it and break something. There isn't really a "trick" per se, but it does take a little finesse. Do not pry on the tabs, and no tools should be required. When installing the suspension, the tabs simply click into place on the stubs. To take the suspension out, just reverse the process and be sure to pull straight up and down, vertical. I'm unaware of any tutorials for this. Is this raw aluminum or does it have a finish applied? 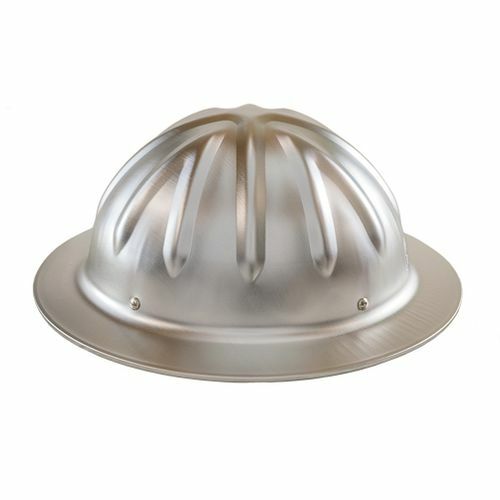 The manufacturer states the following: "It is raw aluminum, but there is an anti-corrosion compound that is wiped on. Similar to being cold anodized without going through the chemical baths." Are these one size fits all or, do they come in different sizes? There is only one size and the ratcheting suspension will adjust to fit "most" heads.